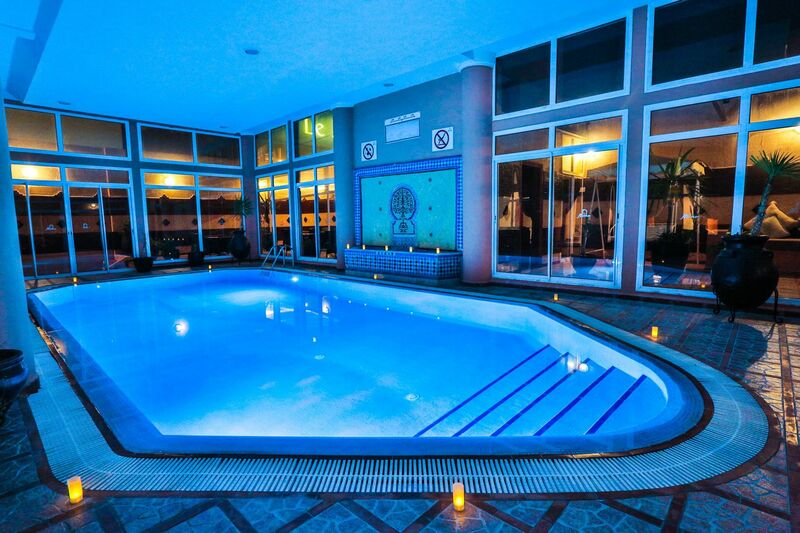 East and West meet in this place to call your senses to relaxation and well-being. 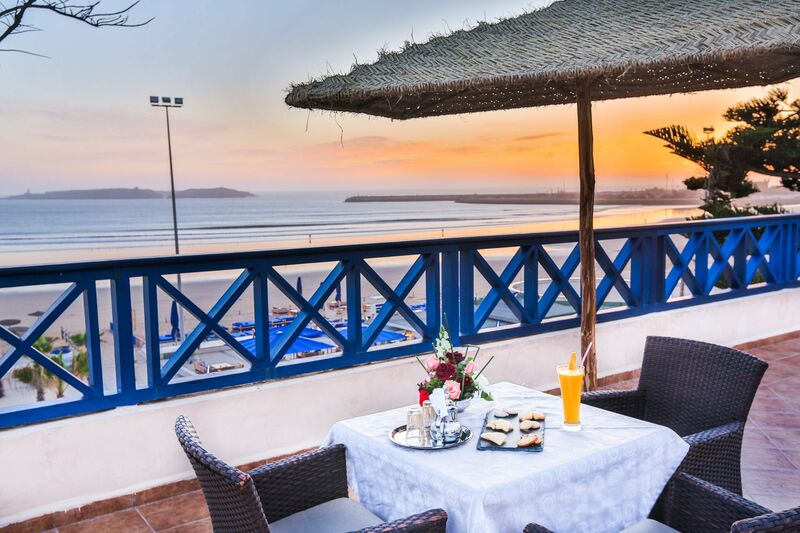 Located 2 steps from the medina and facing the ocean, the Miramar hotel is the promise of a successful stay. 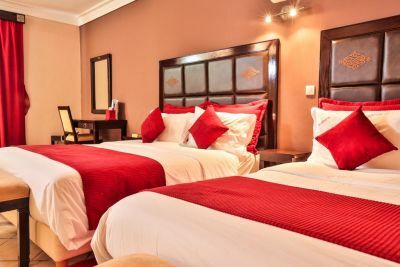 A professional and smiling team is at your disposal to meet your expectations. 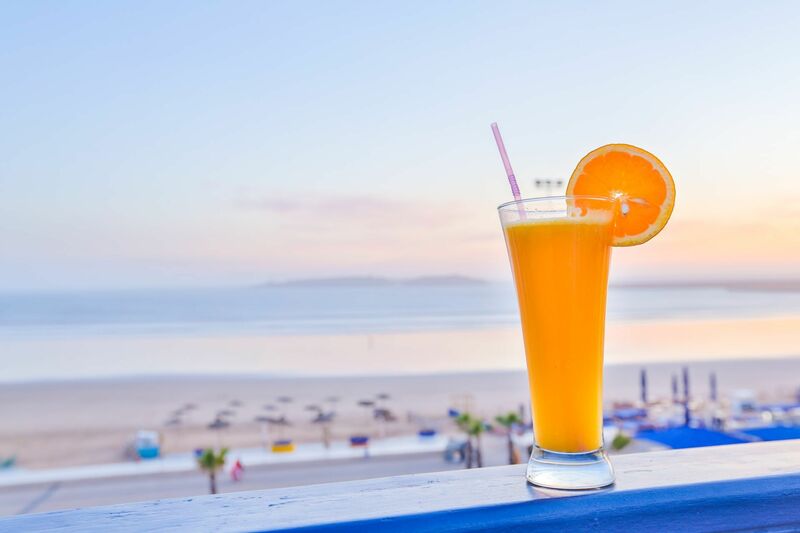 Relax in the patio of our indoor pool or enjoy the climate of Essaouira on our solarium, admiring the view of the bay. 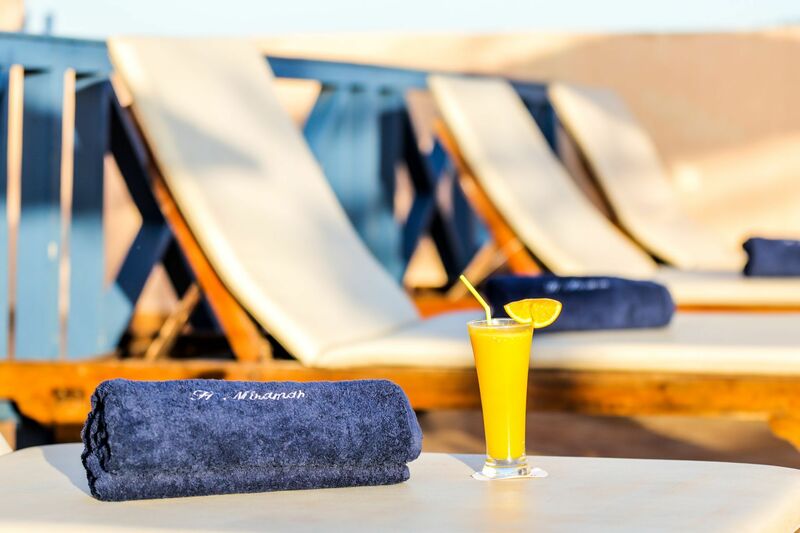 Admire the works of local artists, stroll through our shops, relax in the hammam, the Miramar Hotel combines all the assets to satisfy you. 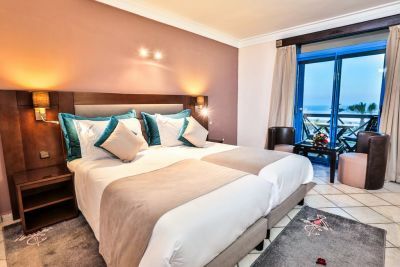 Accessible to all, the Miramar hotel respects the most demanding standards of reception: elevator, wide corridors and big openings to offer a better mobility to each one. 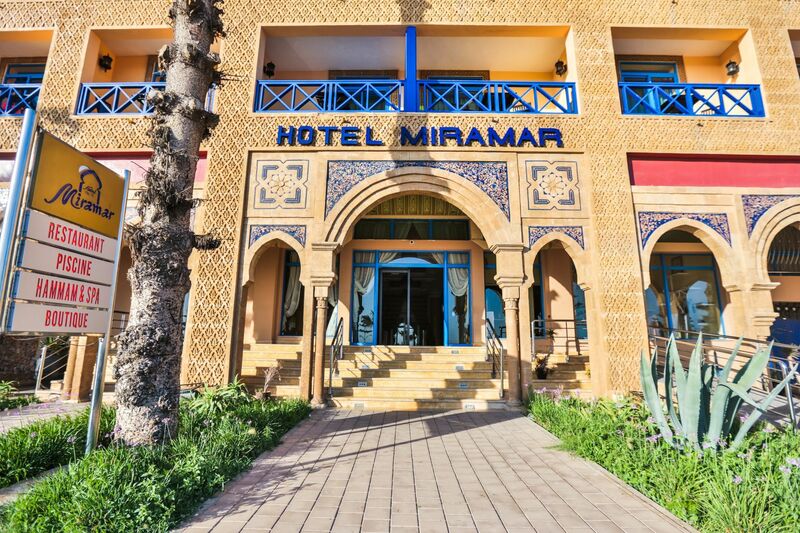 Hotel Miramar proposes 42 bedrooms, all have been carefully restored in the pure traditional and modern inspirations, displaying the treasures of Moroccan craftsmanship. 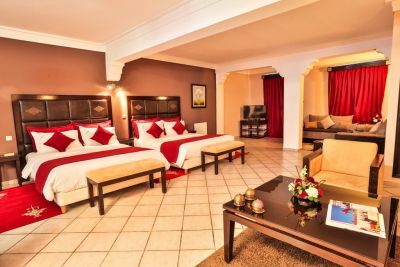 Each room is equipped with a modern bathroom (bath-tub or shower, hair dryer), a telephone with access to the room service, a satellite television and Internet connection. 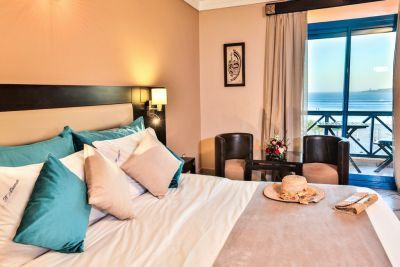 For breakfast, we propose a delicious meal served at the restaurant or at your bedroom. 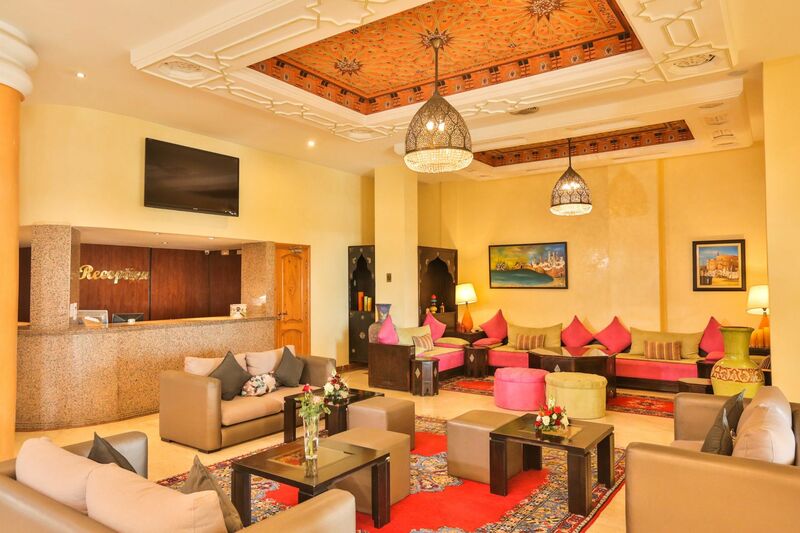 The restaurant invites you to taste the delicious Moroccan and international meals, made with fresh products and reinvented every 2 months by the kitchen stuff, in order to propose original and perfect dishes, which you will discover, being hotel resident or simply a passage. 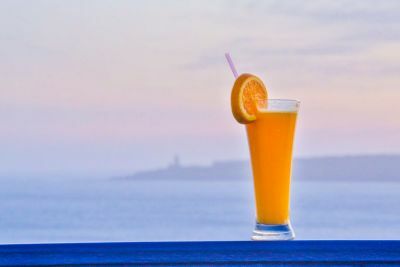 Overlooking the bay, the solarium promises hours of idleness and rest. 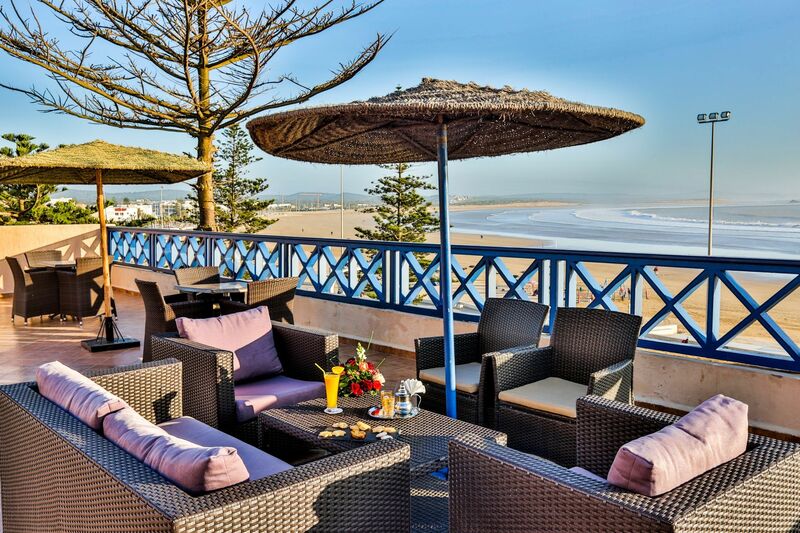 For breakfast or to enjoy the permanent sunshine of Essaouira, the huge terrace has been specially designed to offer you peace and quiet. 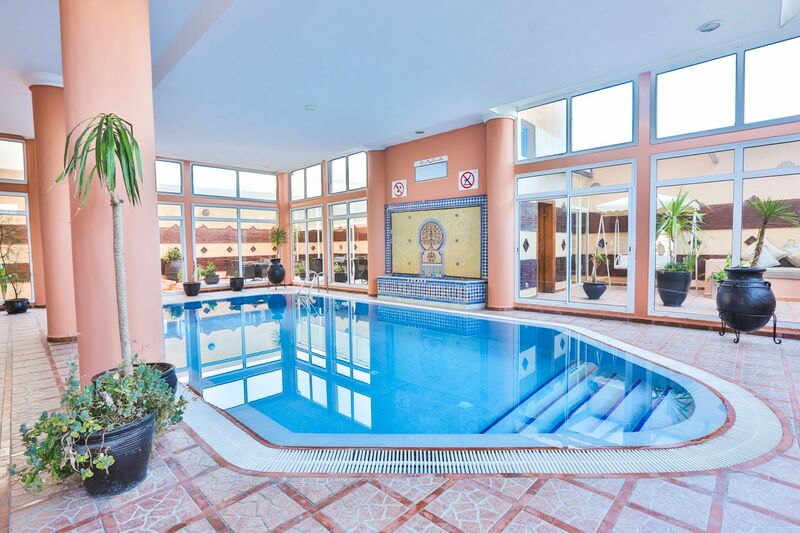 Take care of yourself in the wellness area of ​​Hotel Miramar. 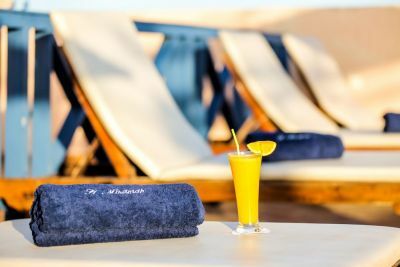 Oriental Hammam or Finnish sauna, unwind in a heat bath that will help you relieve stress, relax your muscles and help you sleep.